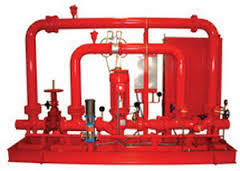 Let Industrial Fire Protection design a packaged fire pumping systems to save time, labor and change orders on site. Cost-effective, completely self-contained skid or housed units precisely fit specified areas, and require only system piping connections and a single point electrical hook-up. Housings are built to accommodate required environments with lighting, heating, ventilation, insulation, weather protection, alarms and easy access opening. 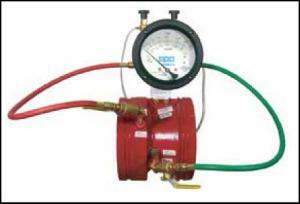 Industrial Fire Protection can design your fire pump solution with electric or diesel drivers. We offer horizontal split case, vertical turbine and inline pumps to meet site or flow requirements. Industrial Fire Protection Pumps is proud to use the Resi-stream home fire protection system. The Resi-stream is fully compliant to NFPA 13D standards and comes pre-assembled and hydraulically tested in excess of 200psi from the factory. The Resi-stream home fire protection system arrives ready to install and pre-wired for simple error free electrician hook up. The Resi-stream comes in 2 styles both the open unit with corrosion resistant base for mounting as well as the fully enclosed unit for simple and complete installation. Both units are available in either 115 or 220 volt single phase power depending on horsepower. Bronze fittings and connections help to reduce, if not eliminate, corrosion and help ensure a reliable home fire protection pumping system for many, many years. To ensure peace of mind, we will also offer a 1 year limited factory warranty, so that you can feel safe knowing your family is protected. The Resi-stream is one more product we offer that makes Industrial Fire Protection, Inc. your “one stop shop” for all of your fire pumping needs. The Resi-stream can be supplied with water storage tanks. They are supplied with a standard 1 year manufacturer’s warranty and fit through most standard doorways. The Resi-stream tanks have automatic fill valves, top entry lids, gallon markers and bulkhead fittings for suction, fill and overflow connections. Other tank sizes available, please call Industrial Fire Protection, Inc. for details. 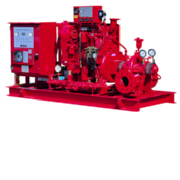 SPP Thrustream FM/UL Approved Fire Pumps are available for duties ranging from 200 USgpm to 5000 USgpm and are suitable for electric or diesel drives. SPP UL Vertical In-Line range of fire pumps approved for fire protection by Underwriters Laboratories and fully compliant with NFPA 20. The line of vertical In-Line fire pumps are lightweight and compact for smaller pump rooms. 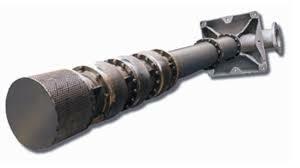 They eliminate the need for coupling alignment and there are fewer lost or misplaced parts. SPP Vertical In-Line UL Approved Fire Pumps are available for duties up to 750 USgpm and are suitable for electric drives. Vertical In-Line pumps can also be offered as pre-wired packages that include a limited or full service controller. Every package is mounted on a steel fabricated base with the motor wired to the controller. The automatic air relief valve, casing relief valve, suction gauge and discharge gauge are mounted on their respective spool pieces. Additional piping, valves and sensing lines are available with the In-Line packages. The In-Line package system also includes a jockey pump and jockey pump controller. When the fire protection water source is located below ground or deck level, the best technical pumping solution is the vertical suspended multi stage turbine pump. With this type of unit the impellers are fully immersed in the water maintaining prime at all times. 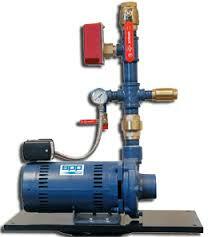 The pumps are driven by vertical electric motors or by diesel engines through a right angle gearbox. 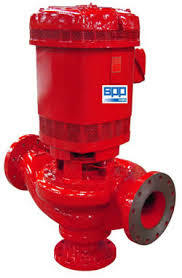 SPP Vertical Turbine FM/UL Approved Fire Pumps are available for duties ranging from 500 USgpm to 5000 USgpm and are suitable for electric or diesel drives. Vertical Turbine pumps can also be custom engineered for the oil and gas industry and can handle fresh water or sea water for cooling purposes, fire protection duties, general water supply, wash down or drill water. They can also be used for handling crude oil or controlling spillages. For platform or jetty locations they can be provided with a below-deck discharge if required.